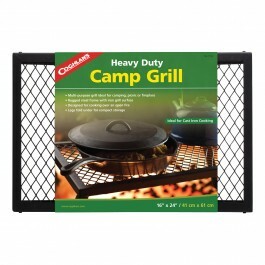 The Coghlan's Heavy Duty Camp Grill is a heavy duty foldable grill. 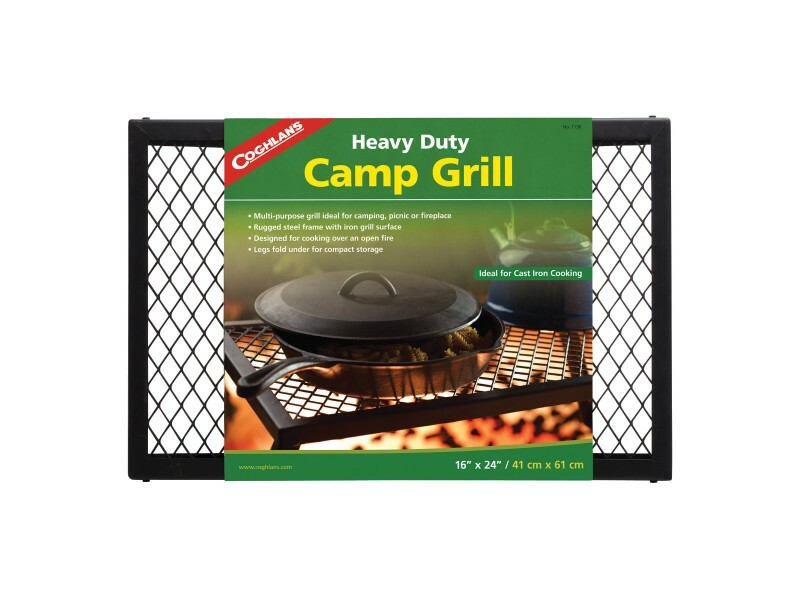 It has heavy gauge metal frame and iron mesh grill surface makes it long lasting and ideal for cast iron cookware. 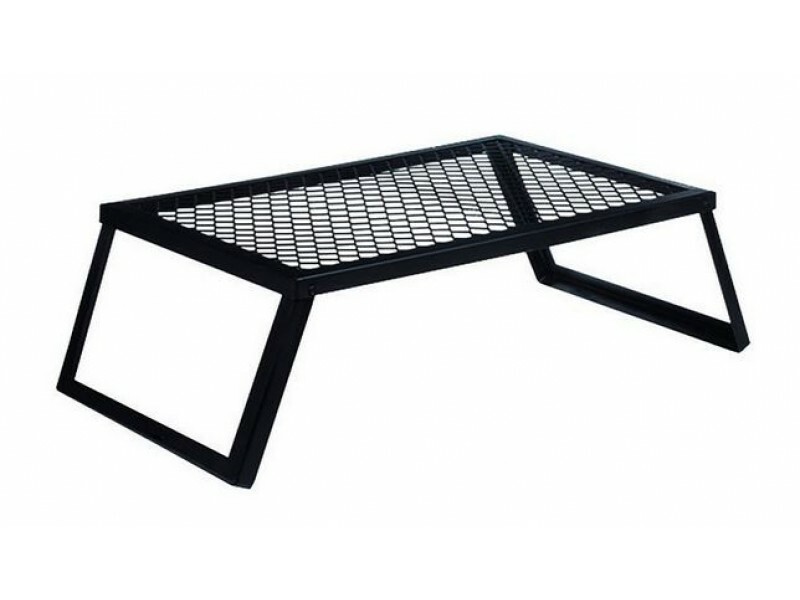 It is supported by sturdy legs that fold underneath when not in use for easy transport and storage.